Trial exhibits have a long history of persuading jurors in medical malpractice cases. The use of visual exhibits can help convey an attorney's message to jurors far more effectively than words alone. Visual aids such as 3D printed anatomical models greatly enhance the understanding and recall of information. Furthermore, these models best illustrate to the jury injuries suffered by your client. This is particularly true when explaining complex medical conditions and injuries. Often difficult to understand diagnoses, conditions and injuries can be easily explained with a well-crafted exhibit. Legal medical illustrations and medical animations can help with convincing jurors. However, these methods are confined to two dimensional paper or video screens. While helpful, these mediums leave room for improvement. 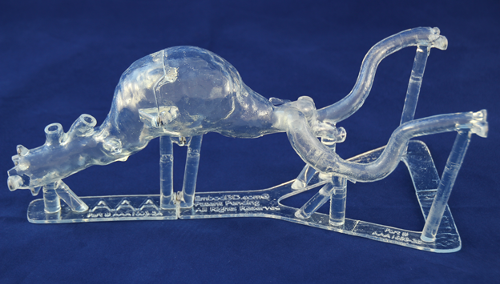 Now, anatomically accurate and patient-specific models are available through 3D printing. A 3D printed medical model derived from a patient's medical scan is something a juror can see, handle and manipulate, allowing them to easily understand the anatomy, injury and ultimately your point of view. The video above shows a three dimensional spine model created from a patient's medical scan. The plaintiff is confined to a wheelchair and in considerable pain. The model clearly shows an epidural hematoma at the surgery site and explains the patient's condition. Clinical findings are easily explained through 3D printing and shows why custom anatomical models are better than medical animations and illustrations. Patient specific 3D printable anatomical models are very accurate and leave little doubt with jurors. 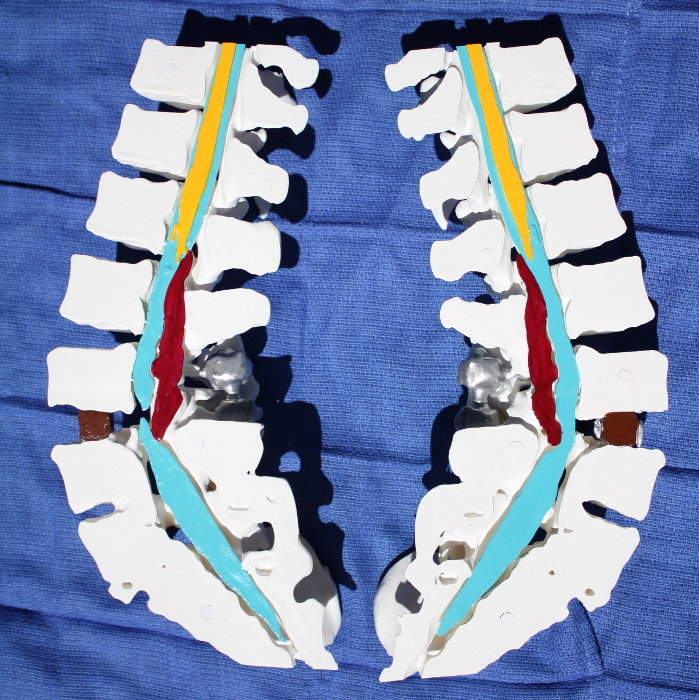 The 3D printed model of the patient's spine is below. Embodi3D’s custom medical model lab is led by Dr. Michael Itagaki, MD, MBA. Dr. Itagaki is a board-certified interventional radiologist and 3D printing expert. He creates 3D printed anatomical models to aid in complex surgery, patient education, medical device testing and medical malpractice cases. Dr. Itagaki has published peer reviewed articles on medical 3D printing. He is a frequent speaker on medical 3D printing at numerous conferences. 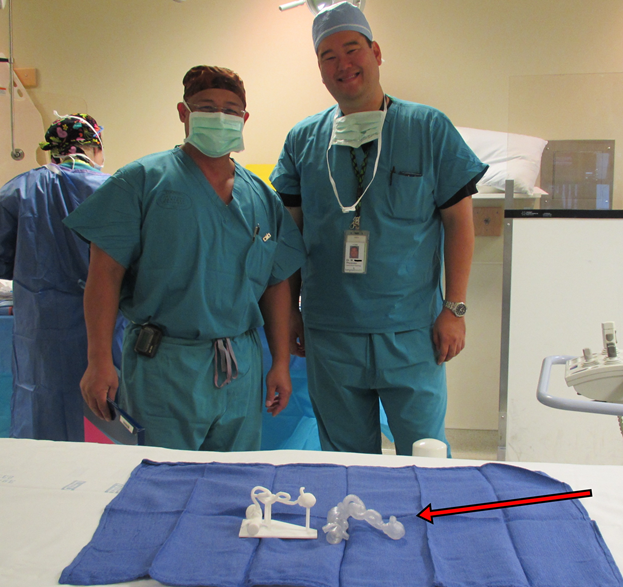 Dr. Itagaki in the OR with 3D printed models for surgical guidance. 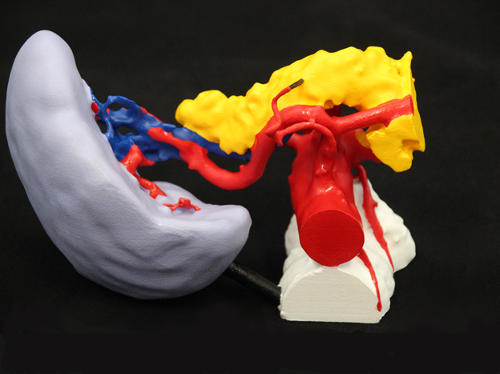 Medical malpractice attorneys find great value in 3D printed anatomical models. A physical model conveys the extent of injury and disability much more than two dimensional videos or papers. Often in legal proceedings the right visual aid can significantly increase the jury’s understanding of complex medical information that may be critical to the case. The optimal method to explain anatomy, postoperative condition or injury is to show jurors a custom made physical 3D printed model. Difficult to explain findings on a CT or MRI medical scan are quickly and easily conveyed to a lay person through a 3D printed model. Embodi3D creates customized and highly detailed 3D printed medical models from real patient medical scans. Dr. Itagaki leads a team of 3D printing experts skilled in creating custom anatomical models for use as demonstrative evidence in all types of personal injury and medical malpractice cases. You are assured that the model represents your client's injury because it comes from their medical scan. Prior to model creation we perform a consultation to understand your needs in detail. There is frequent communication throughout the entire case. The chain of custody is well documented as we go from medical image to 3D printed model. The entire process is under the supervision of a board-certified physician. Rest assured, we document chain of custody, detail the steps in creating the medical model and provide a signed affidavit as part of our medical trial exhibit service. Customized abdominal aortic aneurysm model for aortic endograft (stent-graft) testing and training. L2 lumbar spine compression fracture illustrates how degenerative, arthritic change can result in nerve pinching. 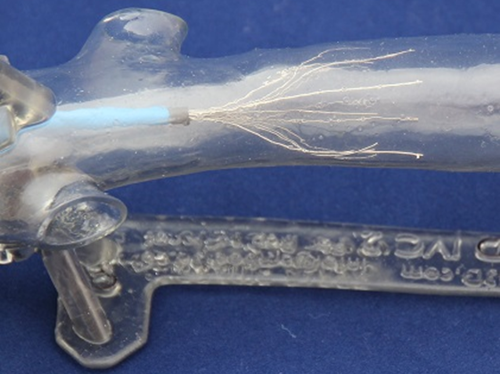 Highly-detailed and custom-painted splenic artery and spleen model designed for a medical device company.